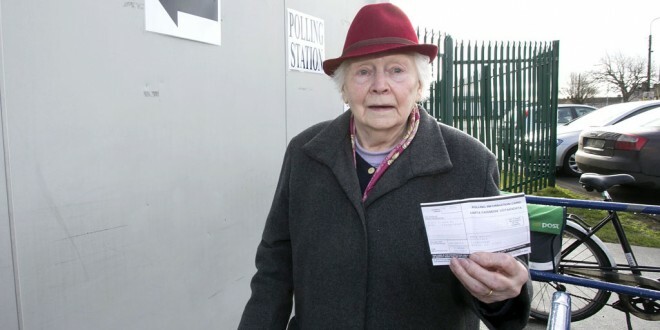 Mary Galvin, Cloughleigh Road Ennis, arriving at Cloughleigh her local polling station to cast her vote. Phoyograph by Arthur Ellis. 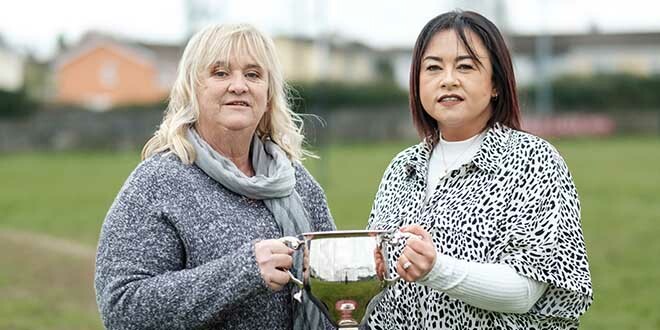 Quite a number of mid-morning voters combined shopping or a coffee break with trip to their polling station today (Friday).With their decision on the 16 Clare constituency candidates under seal, they can now relax and enjoy the rest of the day. The polling stations remain open until 10pm tonight and the count will begin at the Falls Hotel, Ennistymon tomorrow (Saturday) at 9am. 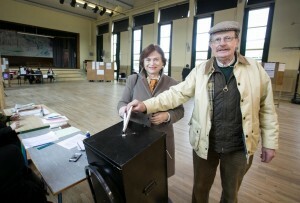 Phyll and Declan O’Regan, Shanaway Road, Ennis, casting their votes at The Holy Family National School. Photograph by Arthur Ellis. 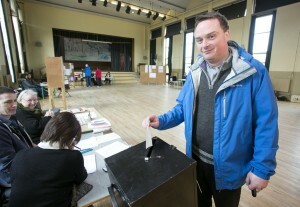 Fr Ger Fitzgerald casting his vote at The Holy Family National School. Photograph by Arthur Ellis.